Dave was first licensed as G4HJT while in school. He took a break from radio and reentered the hobby as K3EL since the mid-2000s. Dave now enjoys CW ragchewing, occasional contesting, SOTA (chasing and activating), chasing DX, and when possible, being DX. He was a member of the ZL9HR DXpedition to Campbell Island in 2012. He organized TX5RV, a mini-DXpedition to Raivavae, Austral Islands, in 2013. 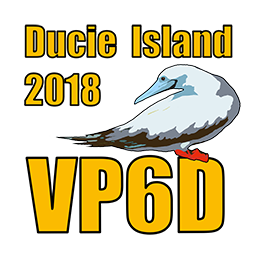 He was a member of the VK9MT Mellish Reef DXpedition in 2014 and the 2016 Heard Island DXpedition. Dave is a life member of the ARRL, a member of the Frankford Radio Club, A-1 Ops, the Chiltern DX Club, NCDXF and INDEXA.